I don’t mix religion into any other aspects of my life, so I’m not going to start now. 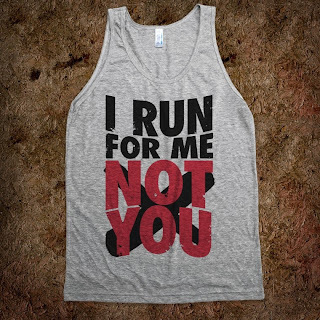 I think running can be a great fundraiser for a lot of causes, and the 3 organized races I have done so far have all been fundraisers but none of them were for religious causes. So I’m choosing to NOT run the Santa Shuffle, not because it is put on by the Salvation Army, but because it is put on by a religious group. You could say that I don’t Jog for Jesus, Race for Religion, Canter for Christ, Amble for Allah, Sprint for Shiva, Vamoose for Vishnu or Dash for Divinity. I will however Scramble for Schools, Compete for Cancer and Hurry for Hunger. 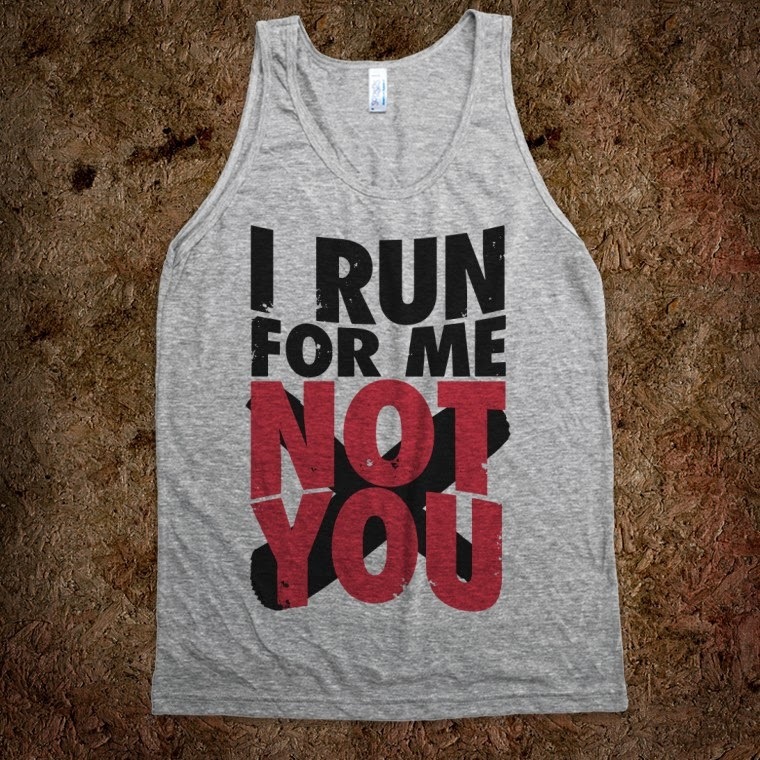 Mostly though, I run for me. 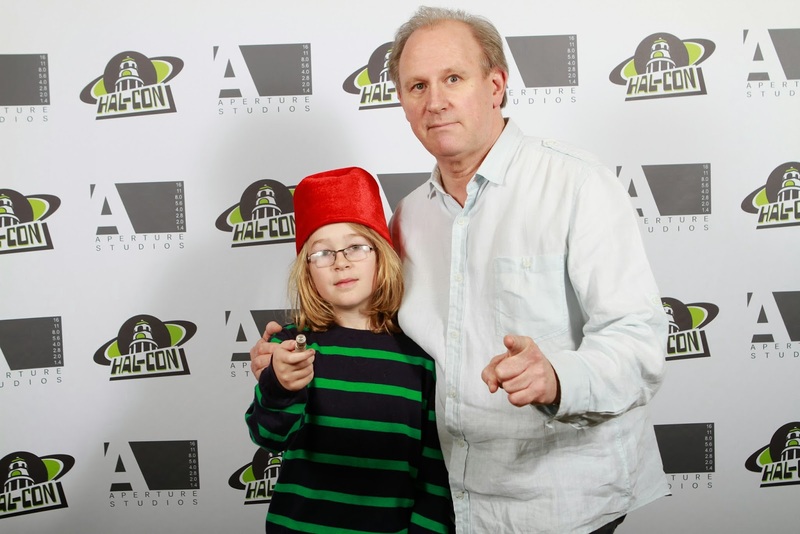 Liam got to meet Peter Davison who played the 5th Doctor Who. He got his autograph, chatted him up a bit and had his picture taken with him. Liam is a very happy Whovian now. Even though it was overbooked and we couldn't get back in after stepping out for lunch on Saturday, we had a great time at Hal-Con. 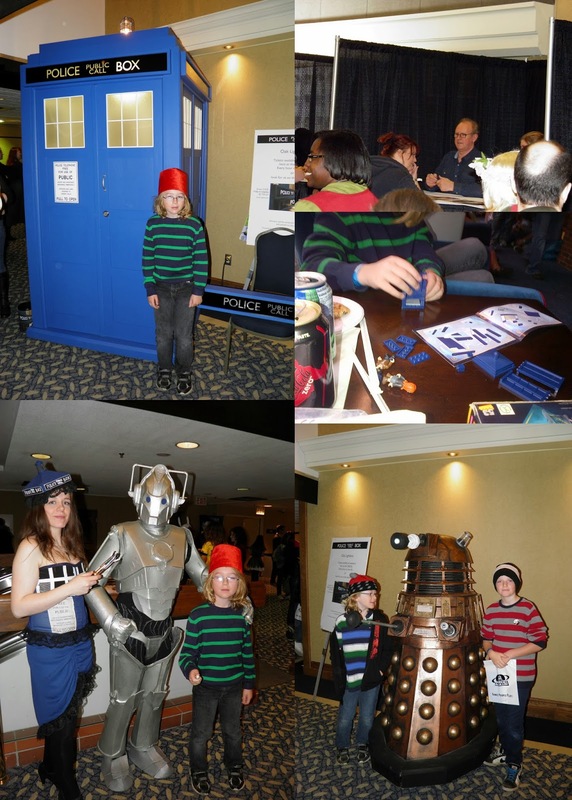 We did all things Dr. Who. 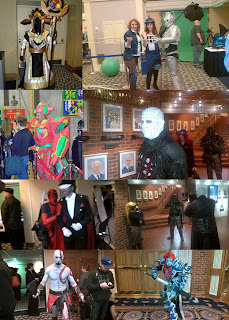 We saw some amazing costumes. 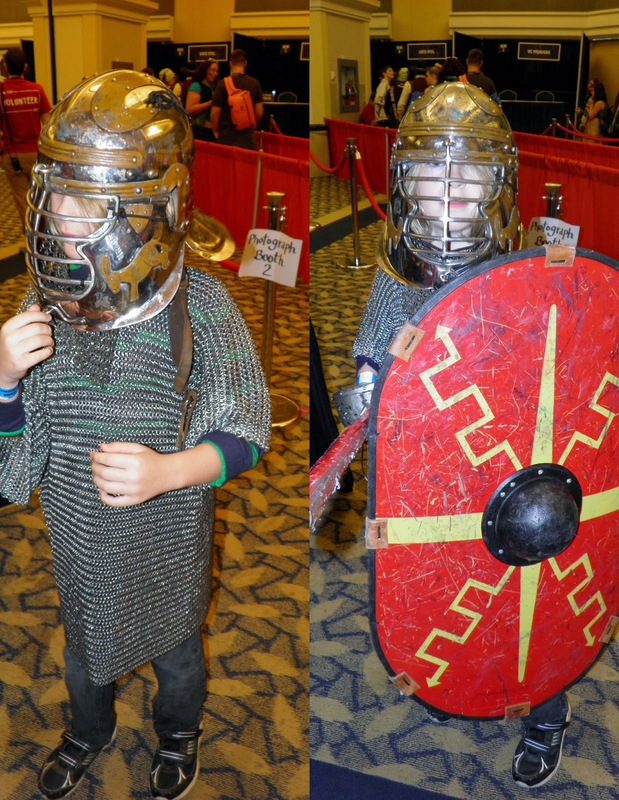 Liam even got to try on 60+ pounds of 16th century armour. I'm sure this is now going to become a yearly tradition for us! As a Lesbian, I have read the stories and seen the pictures about Salvation Army Christmas bell ringers being homophobic, going so far as to post signs on their kettles "We help people, just not the gays".There is also a story circulating that during a radio interview, a Salvation Army member said that all gays "should be put to death". Like any story I'm sure there are 2 sides. And like many organizations, there are zealots who take their beliefs too far and don't actually reflect the original views of the group they are representing. I don't know anyone who is a member of the Salvation Army, so I've never had the opportunity to sit down with them to discuss their beliefs. I always like to try and do my own research (even if it is just a Google search) on topics before I fully believe something controversial - if you can ever fully believe one side over the other. This one has been harder to research. The radio interview seems to be true, since there is a recording off it for all to hear. The pictures of the bell ringers are often debunked as having been Photoshopped. There are very few mainstream news articles about the subject. I am considering entering the Santa Shuffle, but I am concerned with rumours I have heard regarding the Salvation Army. I am a Lesbian, in a relationship for 20 years, and my partner and I have an 11 year old son. As you can understand we do not support homophobic groups, or groups that would not help out our family if we are in need. I recognize that the Salvation Army does great work in helping out families, especially around the holidays, so I'm hoping that you can comment on the Salvations Armies views on gay and lesbian families like mine, and whether your help would indeed be extended to us in a time of need. I figured that would be the end of it and that I would not hear back from them. Imagine my surprise when I got a response in less than 2 hours, late on a Friday night. I am very glad that you reached out to me directly. Firstly, let me say that as the largest non-government provider of social services in Canada it is our mission to help anyone in need, period. In every case of assistance, our decision to help or not is based entirely on the individual's need and our capacity to help, and nothing else. We are happy to - and regularly do - provide services to people of every race, religion, belief etc., and certainly this includes any and all members of the LGBTQ community. To answer your question directly, if your family was in need our response would be entirely dictated by your need and our capacity and nothing else. We would be happy to help. Of these two stories, one is a complete fabrication, which is terrible for all parties involved. The very last thing I want to say is that this extends way beyond paper and policy. People share details of their lives beyond what we ask for, so I personally know of clients of ours who are members of the LGBTQ community, and that detail is completely irrelevant when it comes to the services we provide. They are treated no different than anyone else. I apologize if this response is a little long, but I do hope that after reading it and looking into our official responses to recent issues, that you will agree that when it comes to services that we provide to people in need, our top priority is to not discriminate for any reason. We would love to have you at the Santa Shuffle. If for any reason, you decide the Santa Shuffle is not for you, obviously that's fine, but I am glad that you asked this question, and I hope that I have helped shed a little light on the matter. I feel like I'm back to "Who do I believe?" I doubt if they really are a homophobic group that Daniel would have written that in an email to me. He is after all a Communications Specialist in the Public Relations and Development department. But he talks a good talk and makes it sound like they are very inclusive. I still don't know if I'm going to enter the race and I rarely make cash donations to anyone standing outside a store, bells or no bells, so I don't think that habit will change. Who do you believe on this one? Do you know anyone who is an active member of the Salvation Army? Do you know anyone who has ever been helped by them? Have you ever personally been discriminated by them? 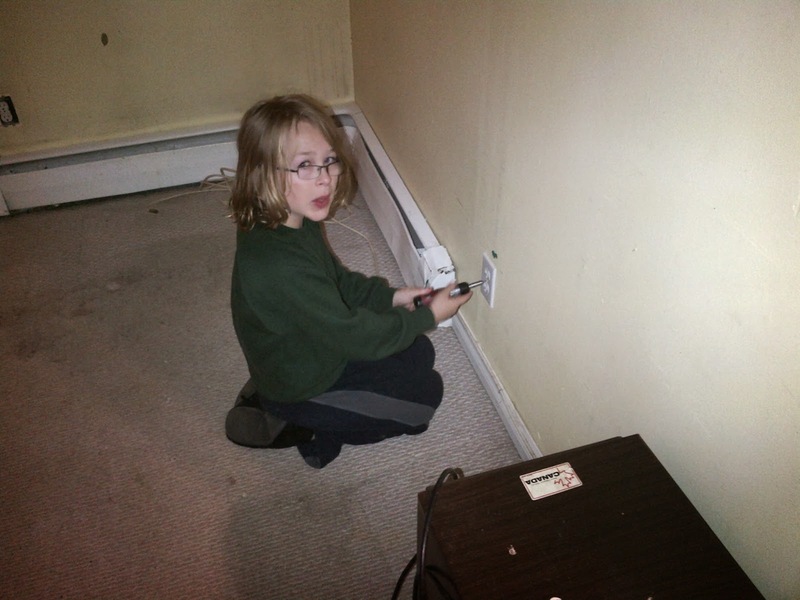 Liam is picking up some great life skills while we get the apartment cleaned up. Growing up, my parents owned 5 6-plex apartment buildings. My Dad had built them and we lived in one of them and they did all the landlord/maintenance work themselves. This included cleaning and painting empty apartments as old tenants moved out and new ones moved in. The Casa-Linda Apartments on Willow Rd in Guelph, thanks to Google St. view. As landlords, my parents have hundreds of stories of deadbeat tenants and just as many horror stories of the mess tenants left behind. There was the vengeful tenant that they evicted for non payment who dumped a carton of milk in the fridge, unplugged it and shut the door so that it was a sour mess by the time they got in to clean. Angry people who smeared baby poop from diapers in every electrical outlet, and some who's level of day to day filth was just so horrible that I wasn't even allowed in the apartment while they cleaned. As a kid, I hated that we had to look after the apartments. It meant putting out smelly garbage for everyone once a week. It meant picking up litter from the lawn since the apartments were between a corner store and a bus stop. It meant sitting around in empty apartments while my parents cleaned them. The only up side to that was that often the tenants cable hadn't been shut off yet, and my Mom would set me up with a lawn chair and a portable TV so that I could watch Saturday morning cartoons. We didn't have cable, so this was a real treat. I did have one job to do anytime my father had to paint an apartment. I had a bucket and my own screwdriver and I had go around and remove all the plug and light switch covers for him. As a teenager and young adult I vowed to never be a landlord. Who wanted the headaches, the dirt, the middle of the night phone calls from drunks who had locked themselves out? Karma is such that I ended up being a landlord anyway. Our current house has a basement apartment that we rent out. It's only 1 unit, and we are 2 for 3 for having had good tenants. The latest ones have moved out, and unfortunately they fall in the group of "level of day to day filth" that is going to require some major cleaning and painting before we rent it out again. In preparation of painting, I am passing along a tradition. I wonder if one he will be a landlord too?